Attractive gold medal, 20.2mm across, about the size of the 100 Lire Vatican gold coins of 1936-59, depicting John XXIII and Paul VI at the Second Vatican Council. Certificate notes the encyclical PACEM IN TERRIS which John XXIII issued in April, 1963. John XXIII died not long after. 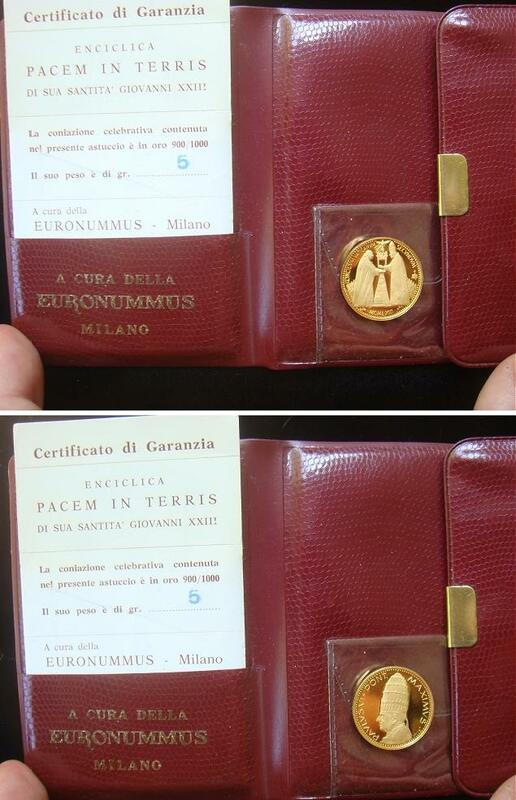 Issued by Euronummus of Milan. Brilliant Uncirculated condition.